One of the most famous toy brands in the world has opened its second Lego Certified Store in Belgrade a the Usce shopping center. Belgrade has thereby become the first city in the region with two Lego stores, and the importance of this event is confirmed by the presence of Danish Ambassador to Serbia Anders Christian Hougaard and the General Manager for Hungary, Romania and the Adriatic Region at Lego, Judit Sipos, the press release says. 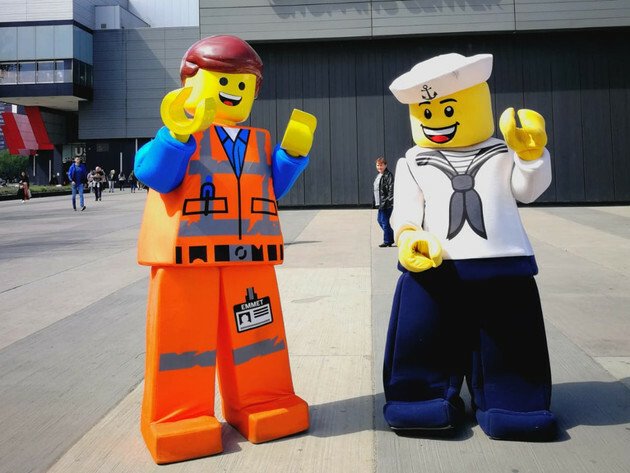 – Lego has played a big role in the bringing up of many people, some of which already have children, or even grandchildren, and what makes it fascinating is that you never feel too old to play with the colorful bricks or be delighted with a new invention or collection. It is for this reason that anyone looking for entertainment can find it in the wide range of Lego products, including standard production lines, such as Lego City, Lego Star Wars, Lego Friends, Lego Duplo, as well as exclusive production lines, such as Lego Creator Expert and Lego ideas. Also, the Pick-a-Brick wall allows you to pick bricks and buy them individually. We will also have a Build-a-Mini desk, where buyers can create their minifigures in over 1,000 combinations – the company announced. During the opening weekend, Lego provided a special section for children, quizzes and several promotional offers, such as unique gifts for the earliest buyers. The winner of the online contest was allowed to pick any toy set from the store. All Lego products are of top quality and comply with EU toy safety regulations.